Published Jun 2017 by Benitez Productions. Volume 2 - 1st printing. Art by Martin Montiel and Joe Benitez. Cover by Joe Benitez. 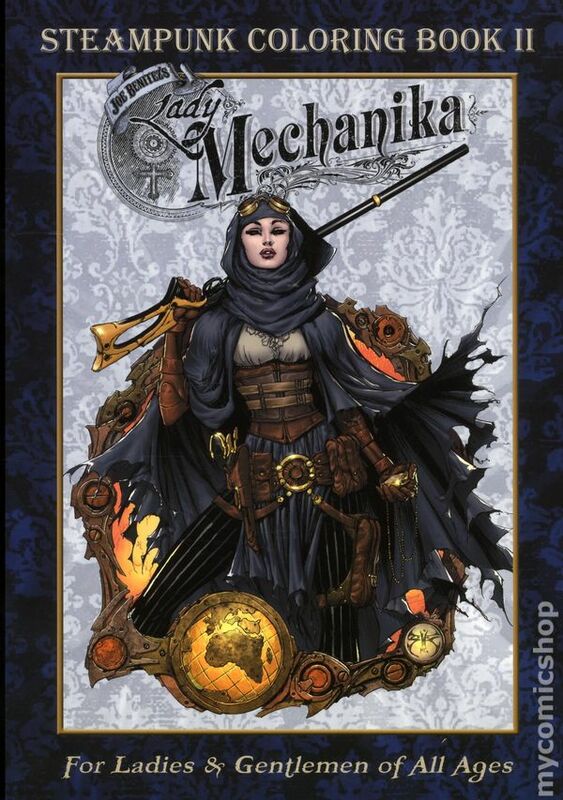 The second volume of the Lady Mechanika: Steampunk Coloring Book series features clockwork birds, steampunk jetpacks, and our beautiful Victorian heroine decked in fantastic outfits ranging from winter furs, to desert robes, to African tribal gear. This adult coloring book contains 40 intricate black-and-white illustrations from the graphic novel Lady Mechanika: The Tablet of Destinies. Softcover, 80 pages, B&W. Cover price $12.99.